Latest discovery. Great number which just needs sax so I did my stuff. Live, it gives you goose pimples. 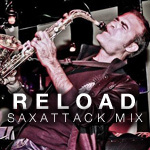 Hey mates, next wednesday Saxattack will be performing at Opium Club BCN. See U ..
Saxattack is gonna play at Club Baroque at Oslo on Friday 3rd with my mates Dj.V..
A new project has come to stay! TH3 HOLY TRINITY. Premiered on next saturday 15t..
Eric Prydz (Saxattack original mix) One of my best recordings of what may well b..
Michael Calfan /Axwell (Saxattack original mix) This is the complete version of ..
Avicii vs Lenny Kravitz (Saxattack original mix) One of the newest numbers on th..